Need something to fight the brutal cold? Yeah ... us too. 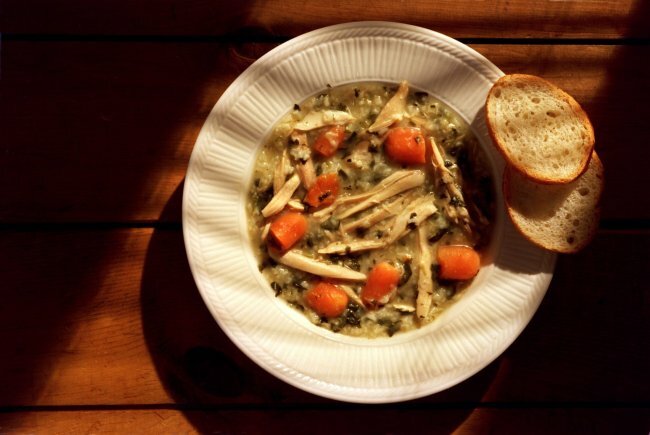 It’s time to warm up with soothing comfort food. 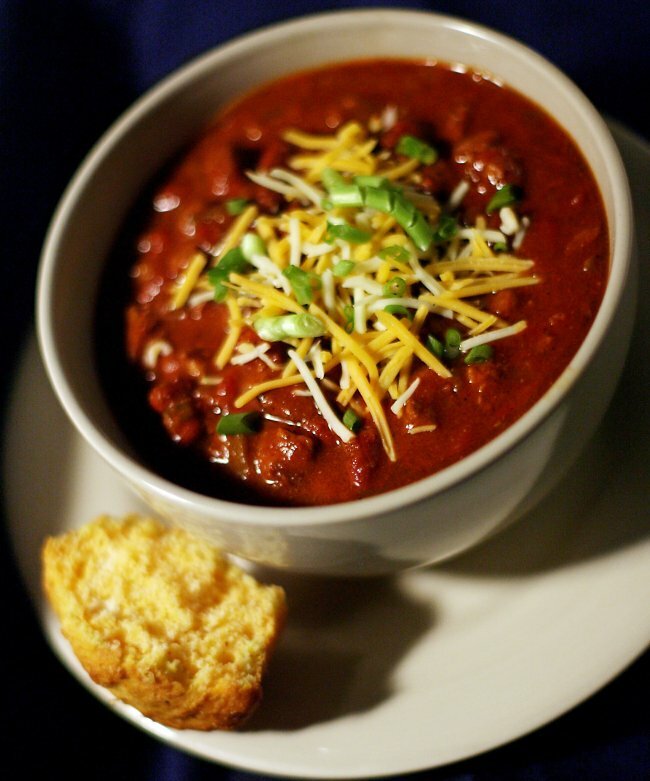 Nothing beats a bowl of steaming hot chili, soup or stew on frigid days like these. Here, we’re featuring three Test Kitchen recipes to get you through this current cold snap -- one soup, one chili and a tasty roast. Feel free to adjust each recipe to your own taste with seasonings and such. When using whole beef cuts to make chili or stews, freeze the whole piece of meat for about 25 minutes -- it will be easier to cut into smaller pieces. Pat the meat dry well with paper towels before sauteing; this helps the meat brown. Save Parmesan rinds to drop in soups for added flavor. In a medium pot, heat the oil. Add the onion and saute about eight minutes until it becomes lightly golden brown. Add the beef and cook until it browns, breaking it up as it cooks. Stir in the bloody Mary mix and heat on medium-high, stirring and scraping up any browned bits on the bottom of the pan. Add the tomatoes, beans and 2 tablespoons of the chili powder. Stir well. Bring to just a boil and reduce the heat to a simmer. Cover slightly and simmer 30 minutes. Just before serving, stir in the remaining 2 tablespoons of chili powder. Serve with desired toppings. In a large soup pot, mix together the bouillon and hot water. Bring to a boil. Add the diced chicken, reduce heat to medium and continue cooking. Meanwhile, heat the olive oil in a large skillet. Add the onions, carrots, celery and turnip. Saute until they are lightly browned. Add them to the broth mixture and simmer, uncovered, 25 minutes. Add the cabbage and thyme and continue cooking 20 minutes longer. After simmering the soup, season with salt and pepper to taste. Add the spaetzle just before serving. Cook’s notes: To make spaetzle, lightly beat an egg in a medium bowl. Add 1 cup of flour, 1/4 cup at time, until thoroughly incorporated. Add 1/3 cup of milk and a pinch of nutmeg. If dough is too sticky, add a bit more flour as needed. If using a spaetzle maker, place the dough in the basket of the spaetzle maker over a pot of boiling salted water. Slide basket back and forth to allow dough to drop in small pieces into the boiling water. Or cut the dough in small pieces and drop in the boiling salted water. Spaetzle will rise to the top when they are done. Drain and add to the soup. 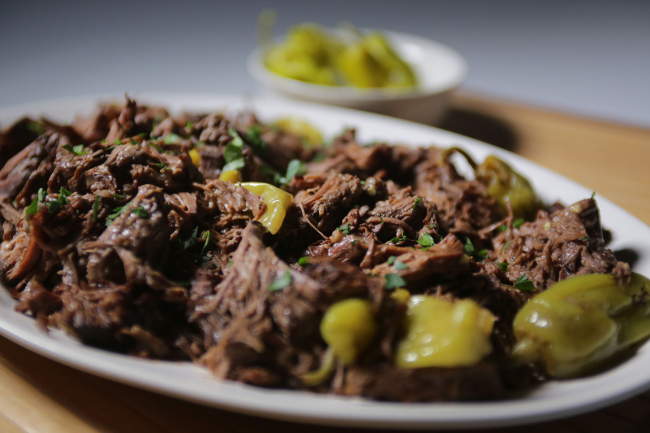 Serve the roast straight for the slow-cooker or pile high on buns for sandwiches. Cook on low for eight hours or until the meat is falling apart tender. Shred the roast and serve with gravy juices. Cook’s note: To make this in the oven, preheat the oven to 165 degrees Celsius. Sear the roast and place in a baking dish. Sprinkle with the ranch and au jus seasoning. Cut the butter into pieces and arrange all over the roast along with the pepperoncini. Cover tightly with foil and bake for two to three hours or until meat is fork tender.